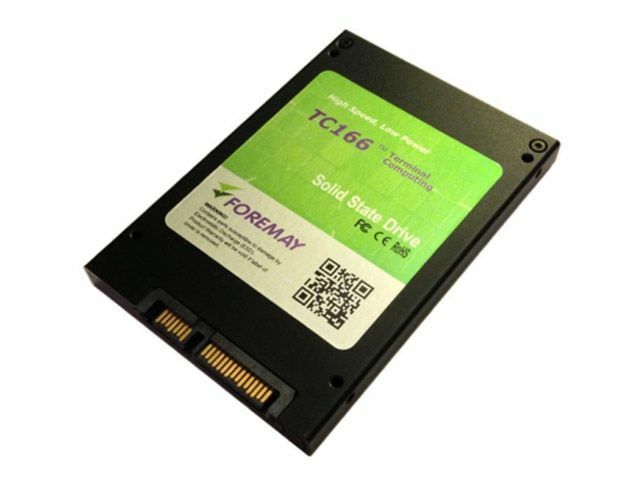 last week Silicon Valley based company Foremay announced a new series of SSD storage devices with a huge capacity aimed at professional and industrial uses. SSDs or Solid State Drives have been growing in popularity in recent years. However so far almost all SSDs don’t reach a capacity of more than 500GB~. For many professional applications this simply isn’t enough. A bit of history: Dr. Fujio Masuoka from Toshiba invented the first flash memory in 1984. When Intel introduced it as a commercial product four years later, the flash market grew by several orders of magnitude. In the late 1980s, the Israeli company Msystems (now part of SanDisk) started selling flash storage solutions for the military and aerospace industries (the lack of moving parts made them ideal for ruggedized systems). At the time 1MB of flash cost thousands of dollars. A quarter of a centaury forward and SSDs with hundreds of GBs are available for a few hundred dollars. Capacities ranging from 8GB-2TB (depending on the form factor). 9 different form factors (3.5"/2.5"/1.8"/CF etc.). Read speed of 550MB/s, write speed of 500MB/s. industrial or military grade of high reliability and support industrial operating temperature of -40~+85°C or wider. one in the aerospace industry, shipping industry, telecom industry, banking industry, uses in medical equipment, ruggedized computing, stock/security Exchange, Embedded PC and much more. No information about price or availability has been published by Foremay. More information can be found on the Foremay website. TFOT has also covered Toshiba 256GB Solid State Drive, the SanDisk Vaulter Disk, a device that enables faster launching and loading of software on laptops and on personal computers, and the SDHC Class 6 memory cards, designated for ASUS’ Eee PC, made by Taiwanese memory manufacturer A-DATA. Other related TFOT stories include two Samsung storage related articles; the First Ever Solid State Disk Drive, unveiled in May 2006, and the Hybrid Hard Drive, which combines traditional storage technology and flash technology to improve performance and reduce energy consumption.